Our mission with NociTRACK B.V. is to support clinicians and scientists in conquering chronic pain. We believe this is possible by translating pain related scientific knowledge into clinical solutions and societal value. NociTRACK develops technology for early and mechanism-based diagnostics, contributing to prevention, targeted treatment and fast rehabilitation of chronic pain. By revolutionizing the way pain patients are diagnosed and treated, NociTRACK will improve the quality of life in a vast number of pain patients globally while simultaneously reduce the cost of healthcare. You can participate in the innovation of clinical pain management by adding pain sensitivity testing to your scientific research program. By joining our launching customer program you will enjoy the benefits of our technology during the pre-CE phase until a fully CE marked device will be available. Below are some features of the solution we have to offer. NociTRACK has developed a device which is very easy to use. Furthermore, the measurements can be done within minutes. The Ambustim enables electrical quantitative sensory testing (eQST). It is an easy, battery-powered handheld device. Due to its ease of use, the measurements can be done anywhere, anytime. This enables the possibility of multi-center studies. The principles of the NociTRACK system are scientifically backed. Clinically relevant data will be acquired. Our mission with NociTRACK B.V. is to support clinicians and scientists in conquering chronic pain. We believe this is possible by translating pain related scientific knowledge into clinical solutions and societal value. 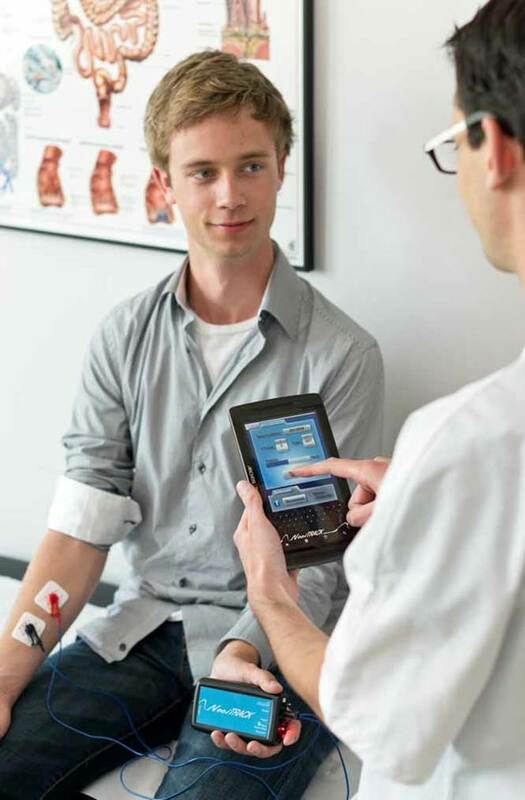 Our aim is to get key insights from pain research clinically available through NociTRACK technology. Based on continuously increasing scientific knowledge, we will develop clinically relevant systems. NociTRACK develops technology for early and mechanism-based diagnostics, contributing to prevention, targeted treatment and fast rehabilitation of chronic pain.